The Service Collabortive of Western New York to build 150-new beds. The Service Collabortive of Western New York building 150-new beds. Cisco James of Buffalo is helping to build the beds. More beds are being built for children living in poverty. The Service Collaborative of Western New York has kicked off a second year of Beds for Buffalo. WBFO's senior reporter Eileen Buckley says community volunteers are building 150 new beds. Twin hand-crafted beds made at The Foundry by volunteers. WBFO’s Eileen Buckley reports on Beds for Buffalo to benefit children in poverty. 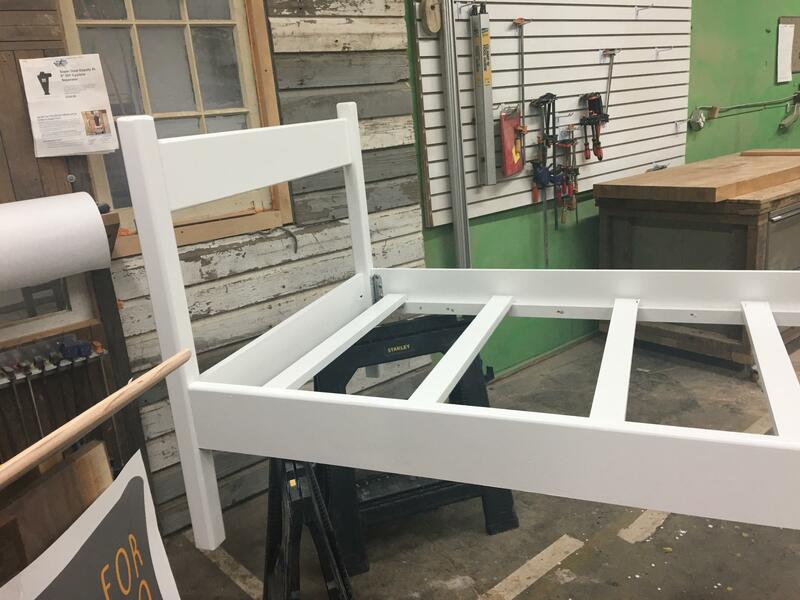 This latest round of children's twin beds are being hand crafted inside The Foundry on Northampton Street in Buffalo. “You know something as simple as bed is just one piece of so much more and so that’s why we package it with the mattresses and the bedding,” explained Kate Sarata, executive director of The Service Collaborative. This next round of beds are expected to go to several sites including Compass House in Buffalo and Heart, Love & Soul in Niagara Falls. But other groups will also be identified to help families living with so little. “But also to build something that’s easily to put together, easily to break down because these families are transient. But we want to give, for what they have, a safe, healthy, nurturing environment for their children,” Sarata remarked. Western New York Congressman Brian Higgins said it’s a “tremendous” program. Last year The Service Collaborated donated 100 of the beds to poor families throughout Buffalo and Niagara and Cattaraugus Counties. Western New York Congressman Brian Higgins said it’s a “tremendous” program. He praises the volunteers for responding to a ‘call of action’ on their own to help tackle poverty. “You know anytime you expect Washington or Albany, any state capitol to do the right thing, you’re probably to be disappointed. Where your inspired is what happens at the community level – the neighborhood level and The Service Collaborative – this is the most recent iteration of what it is they do,” Higgins commented. “Honestly, it’s a really good feeling knowing that my hard work is actually going to somebody,” declared Cisco James of Buffalo. He’s is a student with Western New York Youth Build. James is helping to create these new beds. Cisco James of Buffalo is a student with Western New York Youth Build. “I like helping the community, but at the same time it makes me feel really good knowing that there’s somebody that couldn’t afford this or for some reason they couldn’t have this, and I can help provide it for them,” James explained. Without a safe place to sleep a child’s health and academics suffer. 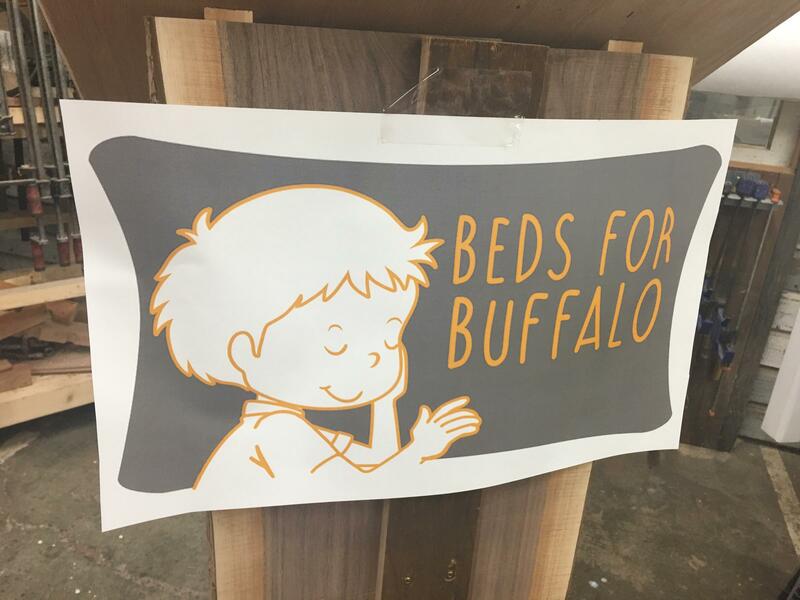 But Beds for Buffalo is providing a good night's sleep to promote a healthier lifestyle for improvised children. A special delivery arrived at the Matt Urban Hope Center Thursday in Buffalo that will provide beds for children in need. 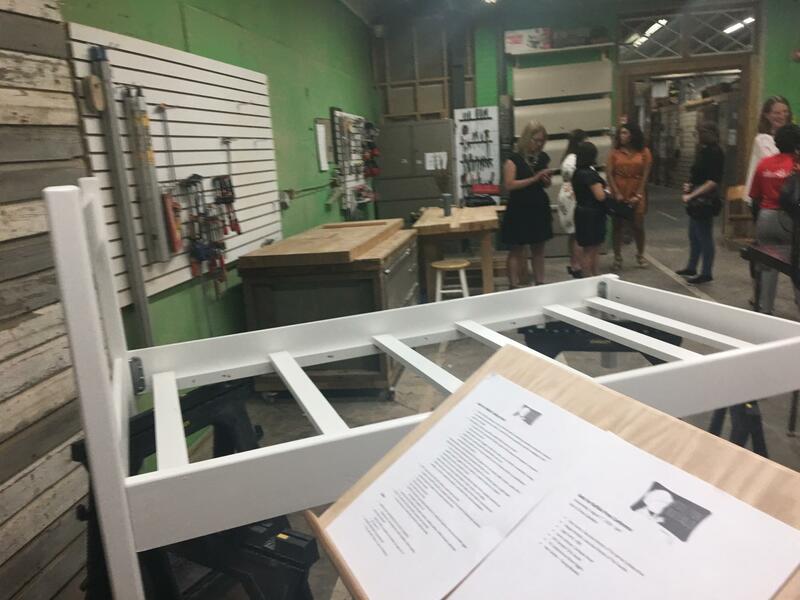 WBFO’s senior reporter Eileen Buckley says it is part of a new program called 'Beds for Buffalo' provided by The Service Collaborative of Western New York. WBFO’s senior reporter Eileen Buckley says new program called 'Beds for Buffalo' will help children living in poverty.